This is a dream for every bloggers is getting much visitors. But many of them fail because they are not implimenting proper strategies. So today I am going to share some reasons why you are not getting much more visitors to your blog. You may be a very good writer and also posting regularly on your blog but not getting much visitors. The main reason may be your are not sharing your blog social networking sites. After making a post share your post into Facebook, Twitter, Google Plus and Pinterest and see the good results. May be you are not focusing on keywords or content. You have to focus on a specific keywords which will bring you lots of traffics. May be your blog is not interesting. May be you are not focusing on your visitors. Make your visitors engaging in your blog with your post. Your blog design may be not look professional.Make your blog most attractive with your exclusive designs. So that visitors will like your site. May be your post is not so good and less informative. 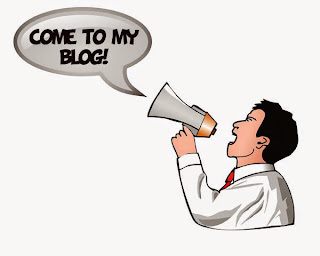 Try to make wonderful blog post and deliver informative post to your visitors. This is the one most important reason why you are not getting much visitors. May be your site is full with links,banners and other java script. That's why it's take too much time to load.Remove unusual scripts from your site and make it more faster. One of the most important reason is may be your site is affected by Google's panda or penguin update. May be you are trying to get much more visitors but hired someone for your SEO.But the hired one made any mistakes for your site and done a wrong SEO tactics. That's why you are not getting much more visitors.